Seismic Audio - SAXLP-FRAME - Mounting Frame for Powered Line Array Speakers and Subwoofers - Live Sound Frame for Active Line Arrays by Seismic Audio at Riot Recordings. MPN: SALA-HFrame. Hurry! Limited time offer. Offer valid only while supplies last. Mounting Frame for Powered Line Array Speakers Model # SAXLP-Frame. Contents: One Mounting Frame for Active Line Array Speakers. Condition: New. Mounting Frame for Powered Line Array Speakers Model # SAXLP-Frame. Contents: One Mounting Frame for Active Line Array Speakers. Condition: New. Application: Hanging Powered Line Array Speakers. Construction: Heavy Duty Steel. Dimensions: 33" x 28" x 4.5". Weight: 17 lbs. Warranty: One Year WarrantyThis SAXLP-FRAME Powered Line Array Frame is the perfect addition to your Active Line Array System. Easily make your powered line array speakers flyable with this heavy duty mounting frame. 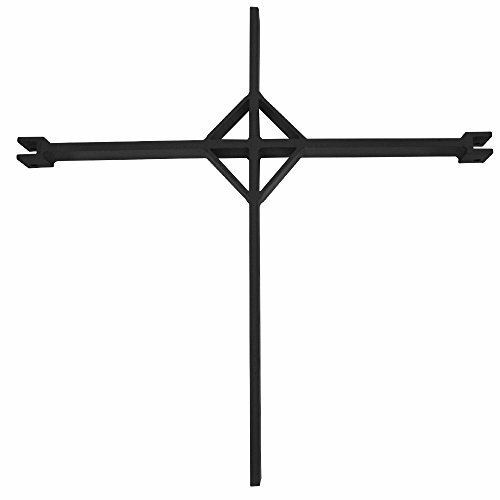 With your purchase, you will receive one line array mounting frame pictured and described above.